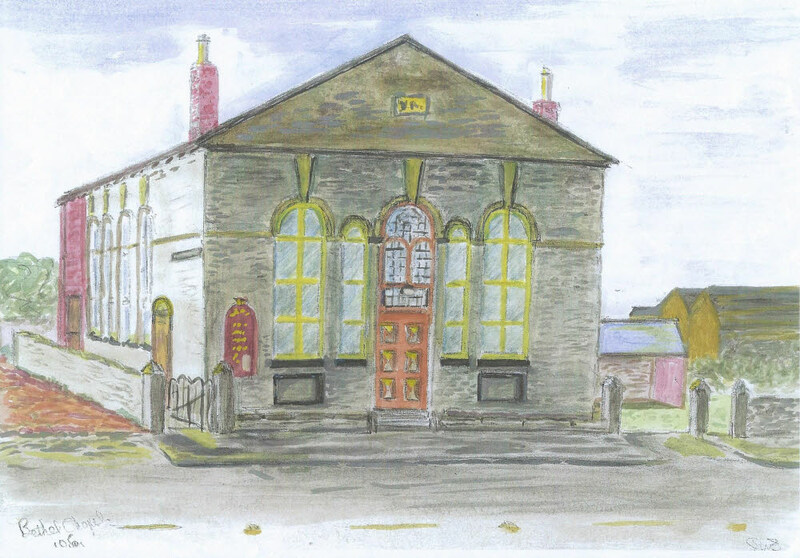 The Bethel Chapel at Flushdyke was built in 1864 and during the years 1900-1912 it was used as a day school. In this sketch the Chapel is shown with its frontage on to Wakefield Road near the top of Shepherd’s Hill and adjacent to the lane to Spring Mill on the left . In the right background is Spencer and Halstead (Spenstead’s) and the stable through a gateway to the right. This was built to provide protection for those more wealthy patrons who arrived by horse and trap.